Gauteng Premier David Makhura has re-iterated that the e-toll system is not part of the province’s future. Makhura made these remarks during his State of the Province Address in February. The premier is adamant that tolling in urban areas will be scrapped. The unpopular tolling system has caused much controversy and caused a revolt against it. Earlier in February, Makhura said President Cyril Ramaphosa had assured him that the issue of e-tolls was receiving his urgent attention. The e-tolling system is one of the thorny issues Makhura has been grappling with throughout his five-year term. Makhura wrote to Ramaphosa after he became President in 2018, for a possible solution as its national government that has authority on the matter. Makhura delivered his State of the Province Address for this term in Alberton on Gauteng’s East Rand. Urban tolling is unsustainable because it increases the cost of living. Government teams are hard at work to find a solution to e-tolls. 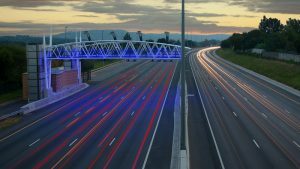 The post E-toll system is not part of Gauteng’s future: Makhura appeared first on SABC News – Breaking news, special reports, world, business, sport coverage of all South African current events. Africa's news leader..